Some men don’t want to settle for a boring men’s cordless and rechargeable shaver, so they want something unique. The Skull Shaver Bald Eagle Smart is a unique looking shaver for the man who not only wants a cool product to display on their bathroom counter, but also to have a unique and personal, quality shave. The Bald Eagle Smart is meant for face and bald head shaving. At first glance you’ll wonder what this product does. 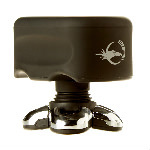 It can sit on the countertop, with a black handle at the top with the eagle and moon logo on the right hand side. There is a flexible shaft, and at the end of it is a rotary-style shaving head. When it’s sitting on the counter the four silver rotary heads appear a lot like feet. Is it a decoration or is it functional? It will certainly keep your house guests wondering. 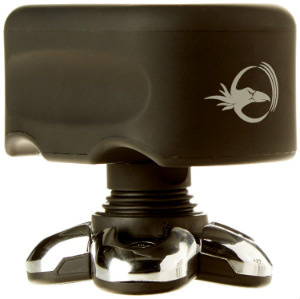 The Skull Shaver Bald Eagle Smart has a small handle that fits in the palm of the hand. 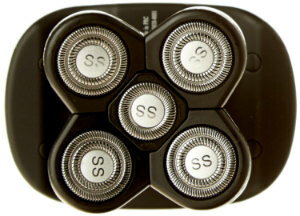 Instead of being the usual vertical style shaver, this is a horizontal style shaver. The bottom handle of the shaver has “Bald Eagle” Smart on it, and a rectangular LED screen under that. There are five rotary-style heads encased in the top. There are four larger ones and one smaller one in the centre. Each has the letters “SS” on the top for “Skull Shaver”. They are all encased within black plastic, and are reinforced by silver metal underneath. The four larger rotaries have two rows of metal slots, while the smaller middle one only has one row. You have two options when using this shaver. You have the convenience of using it for a dry or a wet shave. You can use this shaver for wet shaving, but it’s recommended that you do not immerse it in water. You’ll want to only use it over the sink and not in the bathtub or shower. You can splash water on your face, and then immediately shave. It’s recommended that due to density and thickness that you do not add shaving gels, foams, lotions, or creams, as it can affect the performance of the Skull Shaver. You’ll find that its lifetime will be much longer without, but you can still use water. Whether you decide to have a wet or a dry shave, it’ll be fast. To help you shave, it has a forehand glide that floats over your skin. You can even use the Skull Shaver Bald Eagle Smart with a backhand motion, as shaving direction does not matter. 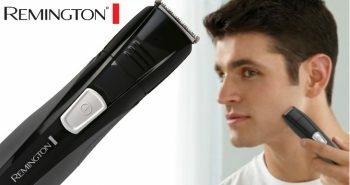 The shape of this shaver is also beneficial for men who want to shave their heads. 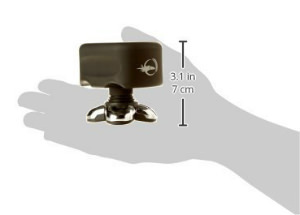 It has a unique patented design that will allow for easy reach of the back of your head. You can also use it to shave your body. The shortness of the body will make it easier to hold against your skin, decreasing the chances that you will drop it. Not only is this shaver simple to use, but it can also take away the mess of shaving your head. The rotary head cutters built within this shaver will each swirl around in a circular motion. They provide for a fast and a close shave, minimizing the effort of shaving. Each of the five heads moves individually, and is super thin. The shaving head is wide and large to shorten shaving time. When a man shaves, he will not experience any nicks, cuts, scrapes, or burns. There’s a great motor built within the Skull Shaver Bald Eagle Smart. It moves at a pace of 10,500 rpm. 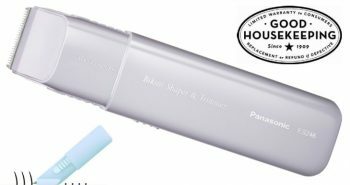 If you travel a lot, this is the perfect shaver to bring on your trip. It’s compact, and will fit easily into your grooming kit. This shaver has dual voltage with a 110 volts to 240 volts plug for worldwide voltage. This shaver is cordless and rechargeable. You’ll be able to have about ninety minutes of shaving time on one full charge. It takes two and a half hours to full recharge. It’s also simple to clean. You can rinse it with warm water without any need to open the shaver head. You can let it run to get out most of the water and then wipe it dry. Cleaning is recommended after each time that you use it. 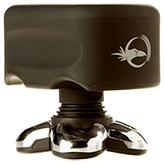 You can purchase the Skull Shaver Bald Eagle Smart a little over $100. It measures just 3.1 inches in height, or 7 centimetres. In the box you’ll get one Bald Eagle Smart and a clear plastic protective lens cap. The entire kit weighs 1.3 pounds. The box measures 7.7” x 6.7” x 3.3 inches. 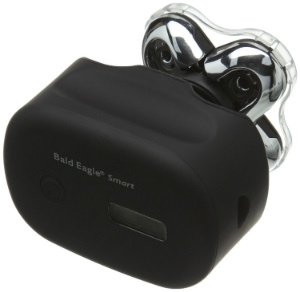 You can buy optional attachments and accessories for your Skull Shaver Bald Eagle Smart. There is a Skull Shaver travel case, the Skull Shaver replacement blades XI set, and the Skull Shaver stand. Reviews are favourable for the Bald Eagle Smart, with 3.6 out of 5 stars. If you’re looking for a different type of shaver and prefer something that you can clutch in the palm of your hands, the Skull Shaver Bald Eagle Smart may be the right one for you. Not only is it great for fine hair, but it will also work well on thick wavy hair too. 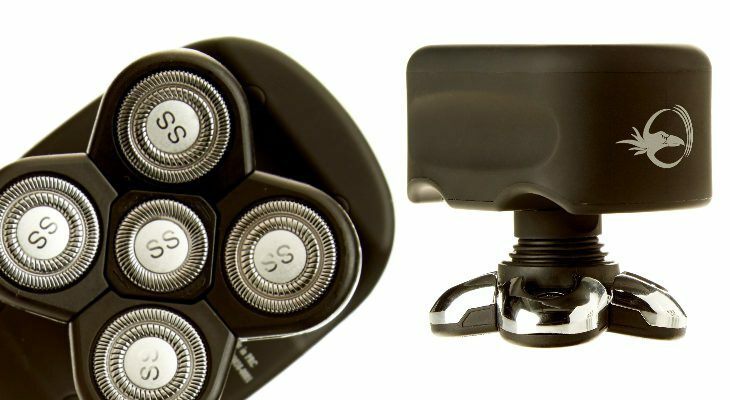 The price may be a bit more than your usual cheap shaver, but it can be used to shave head, face, or body, and is cordless, rechargeable, and can be used wet.